The FL Studio 10.0.8 update is available. Download the FL Studio 10.0.8 installer here and either update your current FL Studio installation, don't forget to download and install a new FLRegkey.Reg file if you are coming from FL Studio 9 or lower, or try it in demo mode. Did you know, more than 30,000 people install FL Studio 10 every day! FL Studio Mobile support, added .instr export from Direct Wave and FPC. Direct wave .instr import. Learn more about the FL Studio 10.0.8 update by visiting the 10.0.8 Looptalk thread. 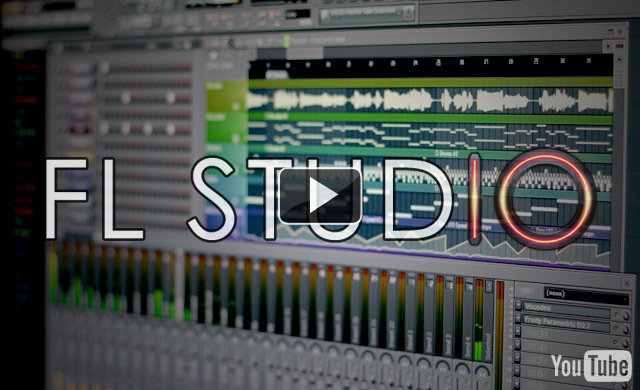 ...learn more about FL Studio 10 by visiting the 'FL Studio 10 What's New?' page. For help on upgrading your current FL Studio installation to FL Studio 10 by making use of your Lifetime Free Updates please see this video. There are more help-links in the video information. Check out the great FL Studio 10 reviews from Wusik Magazine and Music Tech magazine. Don't forget FL Studio comes with Lifetime Free Updates, so you can take advantage of the updates as we provide them into the future.